When I think of Mad Men, my mind always runs to Joan and her dresses from early in the season. 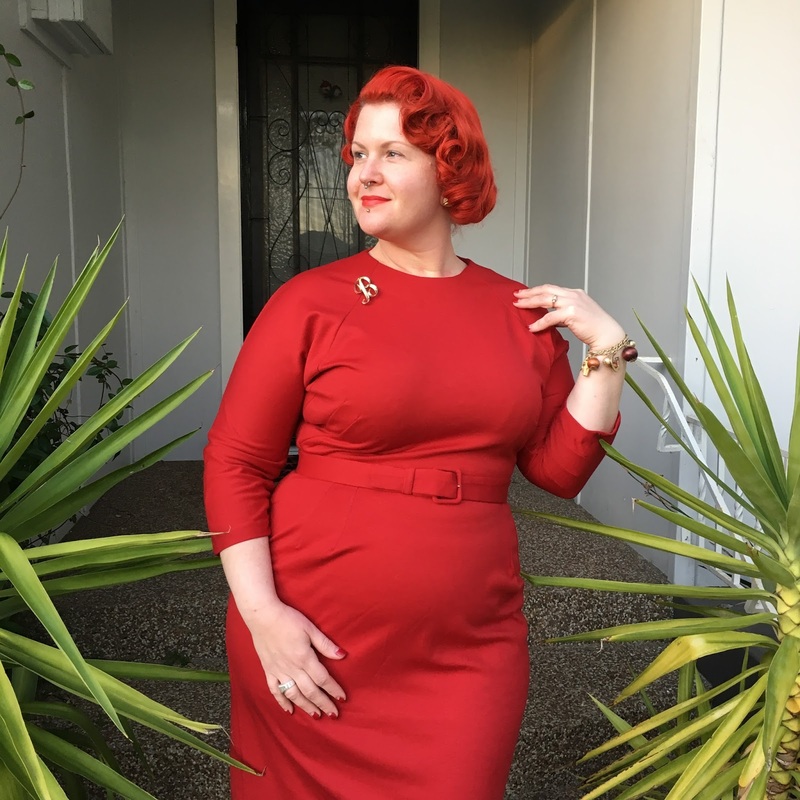 I’m not normally a fan of early sixties style, but I have to admit that stretchy sheath dresses are a great way to keep the vintage vibe going at work. 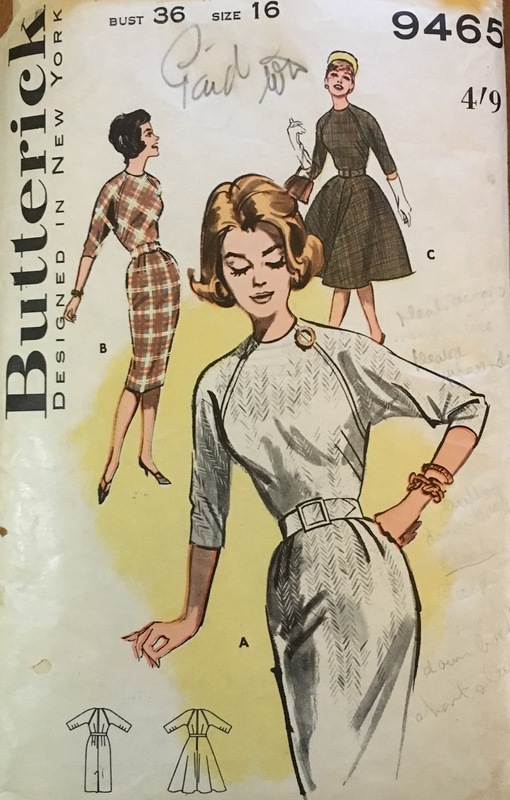 Enter in Butterick 9465 – circa 1960s. It came with a bundle of other patterns, and I always kept it aside as the drawing really spoke to me. I really love batwing sleeves, and there’s just something elegant but casual about this dress. 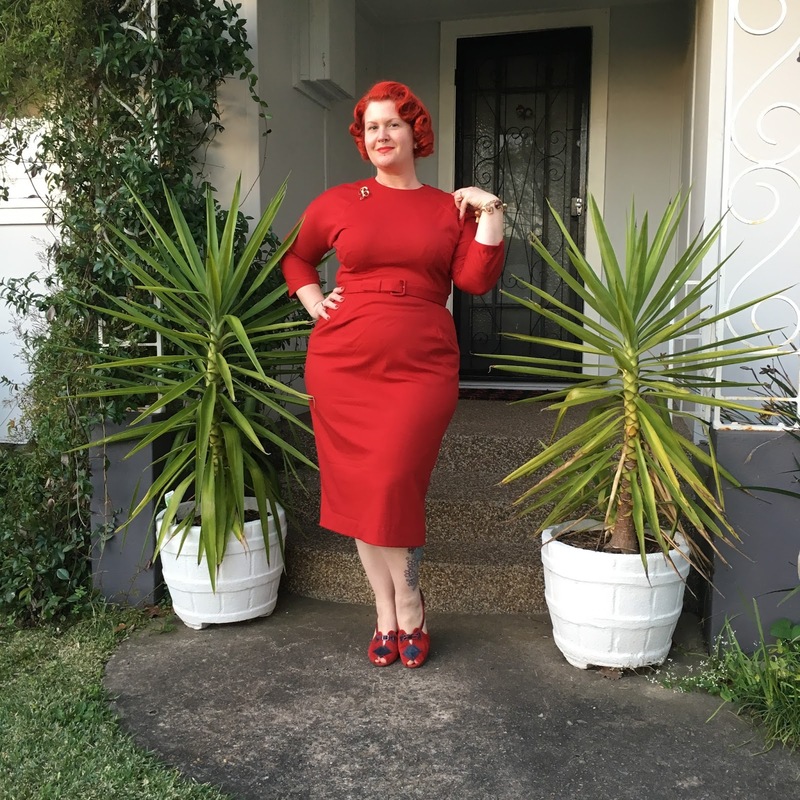 My version is match from thick and stretchy double knit – forgiving and washable, perfect for work! two metres of double knit jersey (ponte roma from Lincraft). As well as being easy to sew, it doesnt take a lot of fabric which is a win in my books. I cheated a bit with this one, and didn’t make a muslin first (shock! horror!) as the fabric was fairly forgiving. The only thing I was concerned about was how tight the skirt was so I wrapped the fabric around my hips first, matching the finished size, to make sure it would fit there. A matching belt from an old belt kit finishes it off! Only one mod, and that was to remove the tucks on the front of the skirt and turn them into darts. I don’t like the effect tucks give when you have a bit of a tummy. Yes, I’m pretty sure I would if I found some more nice double knit somewhere. 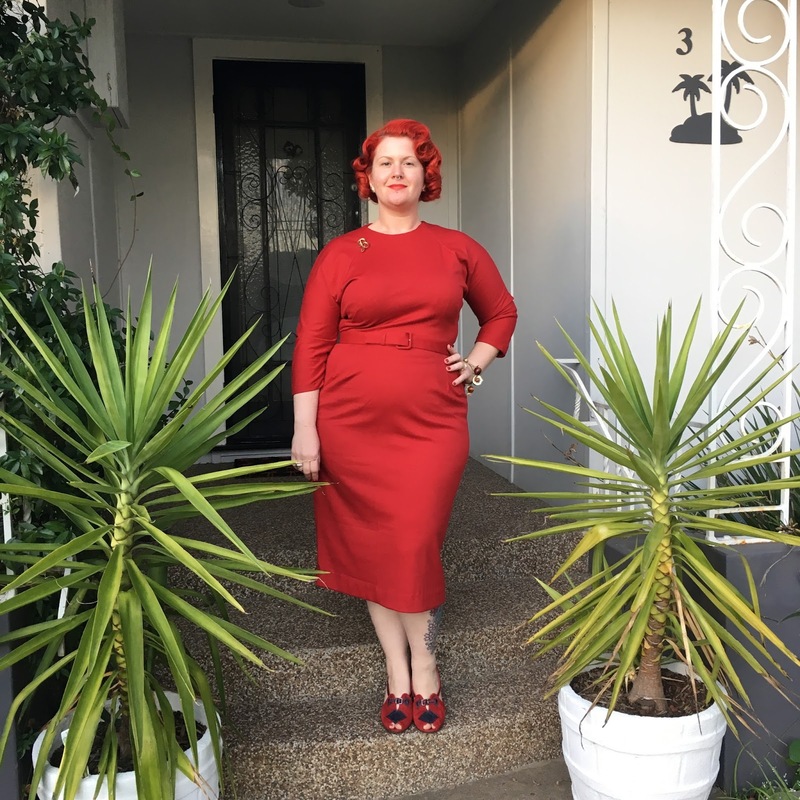 It’s definitely an easy to make dress that looks perfectly retro. And finally, I have to share what I found in an op-shop (thrift store) on the weekend – a 1950’s beach hat! It folds flat for travelling, and has cute green raffia trim around the edges – bring on summer! Not sure if my comment posted…so here I am again. Great look on you! I especially like how your dress and hair go together. Thoroughly gorgeous make! Joan's early season looks are what spring to mind first and foremost (followed by Betty's from the same era) when I think of Mad Men, too. This dress is chic and stunning. 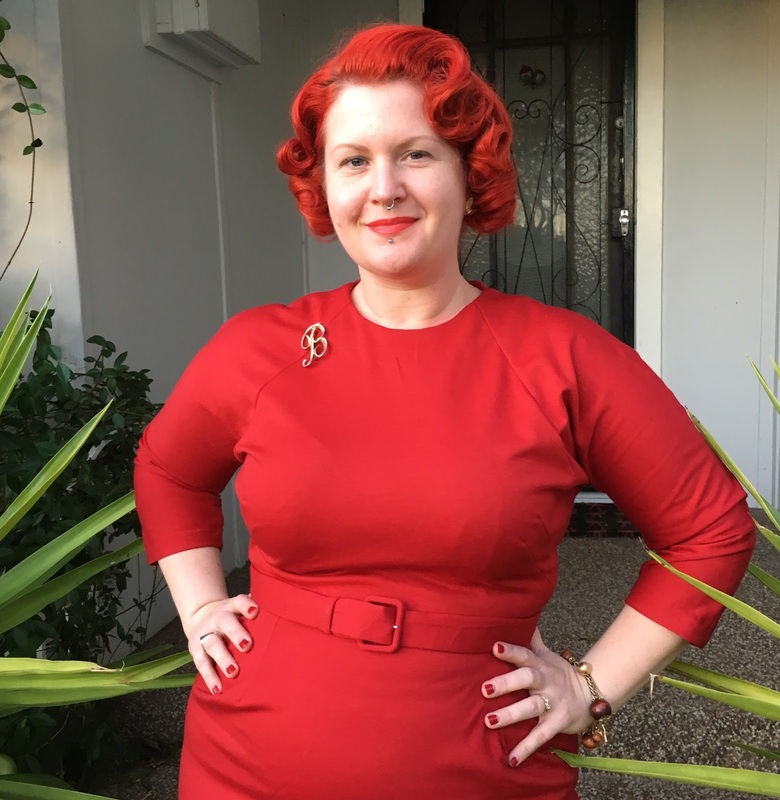 What an awesome garment to have in your wardrobe and to be able to sport for work. Love everything about this, you did a bang up job! Love the placement of the bust darts too, it's one of the things (for me) that I have issues with getting just right. 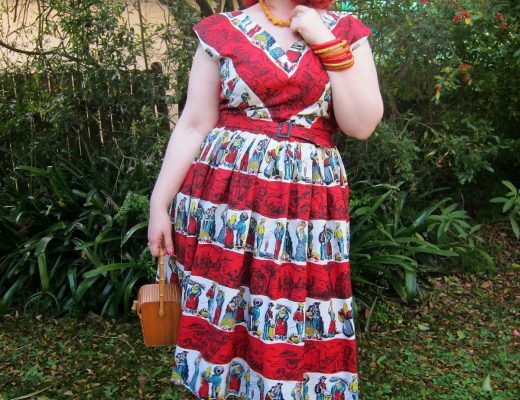 I'm going to have to find this pattern and make one myself! That looks absolutely stunning! Monday mornings must be a bit brighter if you have a dress like that to wear to work. Just lovely. You look gorgeous in red my dear!!! 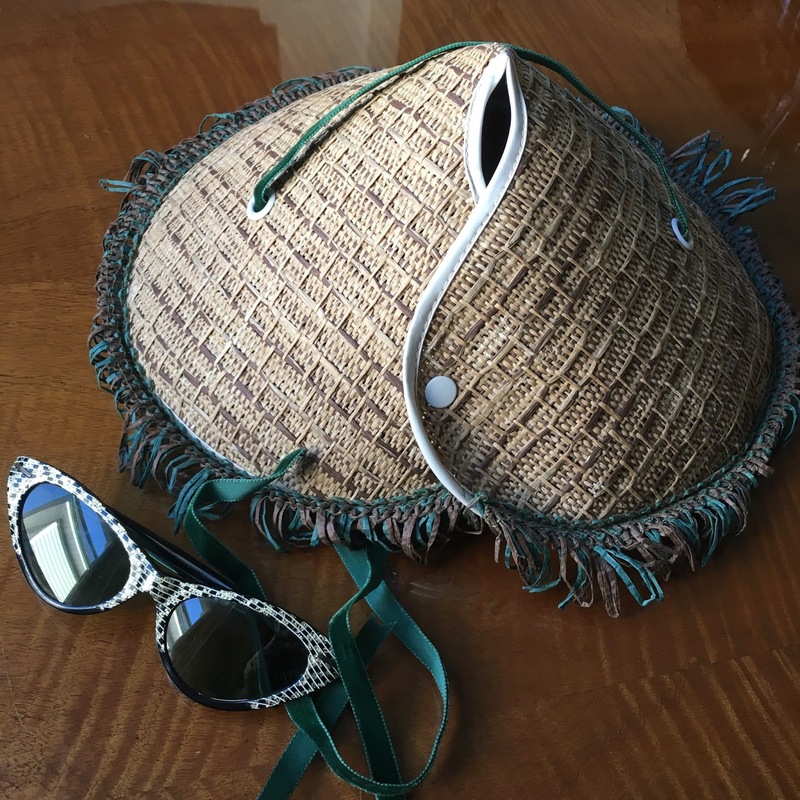 And what a find this beach hat is… AMAZING!!!! Wow! This dress is simply stunning! You chose the perfect color for it!